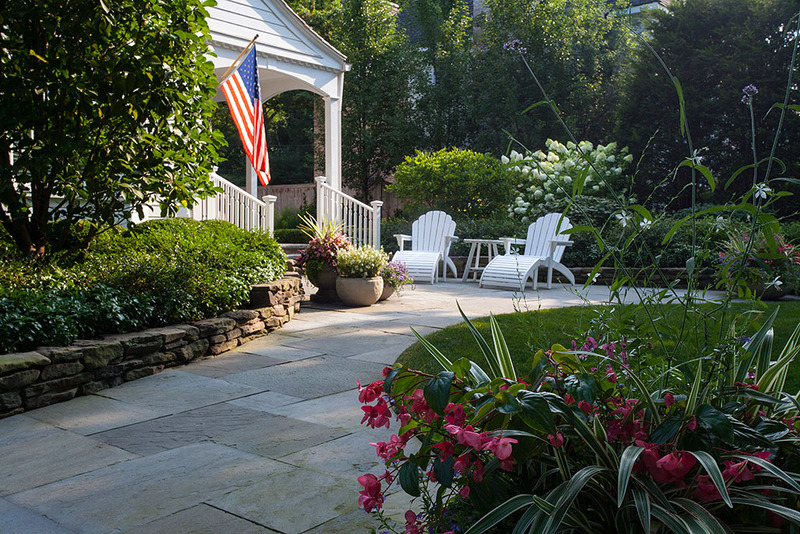 This site underwent a dramatic transformation from a casual outdoor afterthought to a well-defined, functional, and beautiful space. 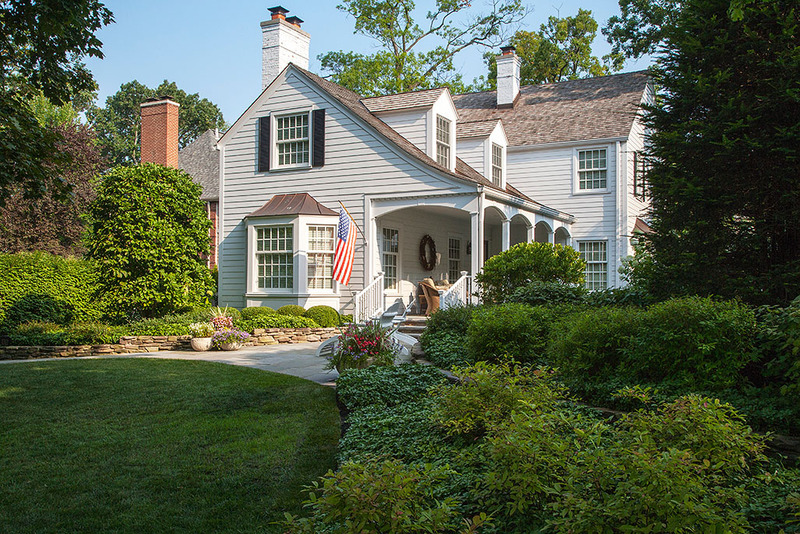 The front entry was redirected and opened up, and now features a porch and a dramatic walkway that changed the entry from a hidden path to a welcoming showpiece. The entry walkway is expansive enough to now also serve as a front terrace. 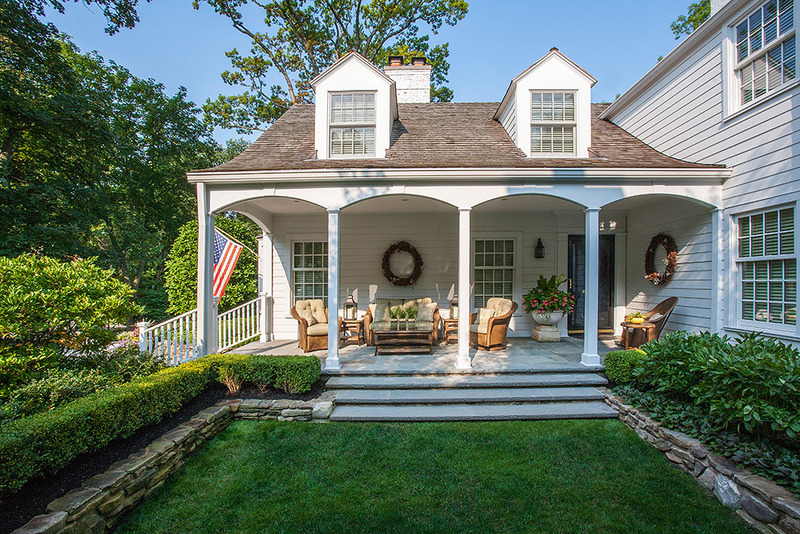 The front porch steps down gently into a formal garden that surrounds most of the home. 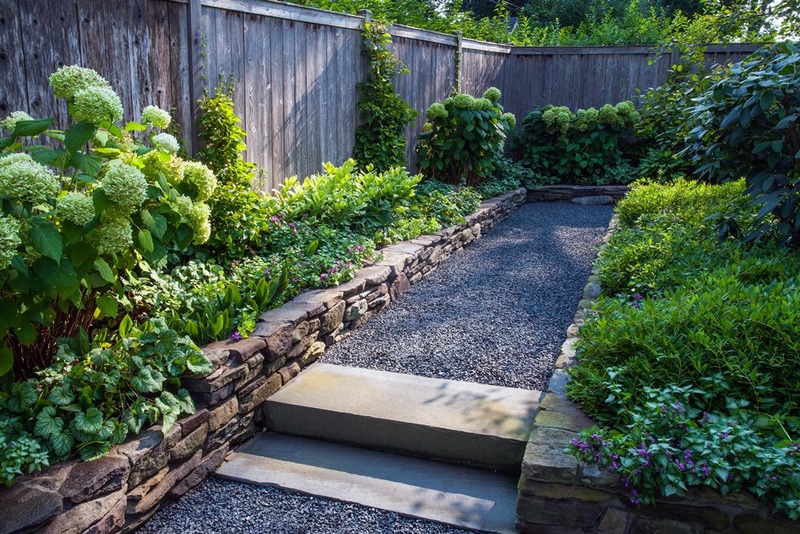 Raised garden beds line the entire space, creating rooms and directional flow. Layers of white and green plant materials fill the beds while taller specimens help to define private spaces. 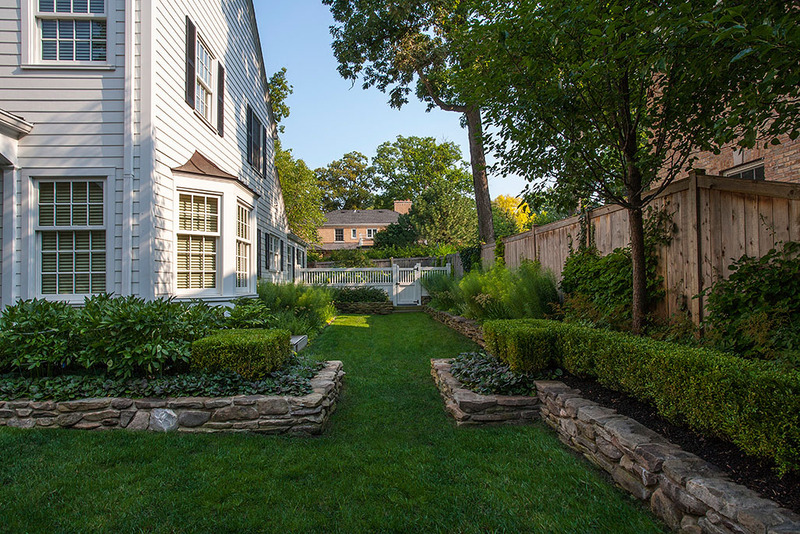 The hardscaping in this garden is both vertical and horizontal, raising the eye, breaking up the greens with stone and white fencing, and creating movement from one garden room to the next. Grass gives way to gravel as the path travels through a garden gate. This simple change underfoot feels dramatic, from green to slate, from quiet to rustling. And a grade change was worked into the path with one step. 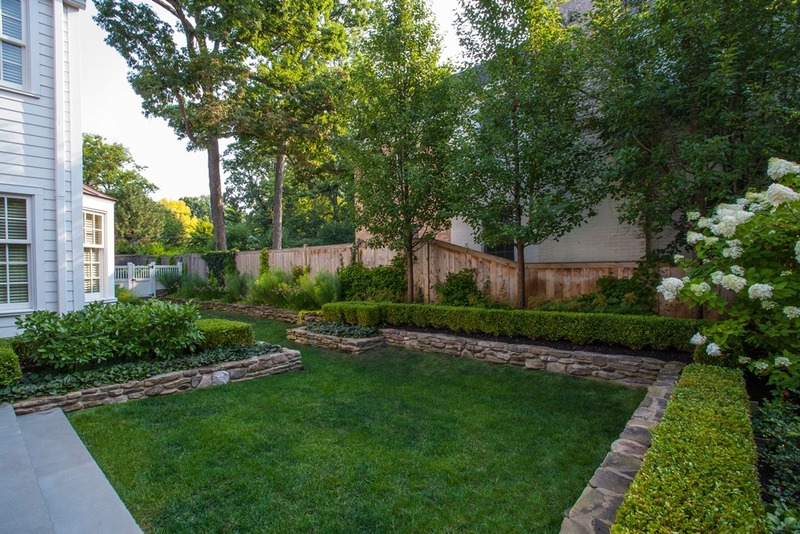 Although the rear garden is separated by the gate, the textured greens and raised beds continue along the entire perimeter of the home. 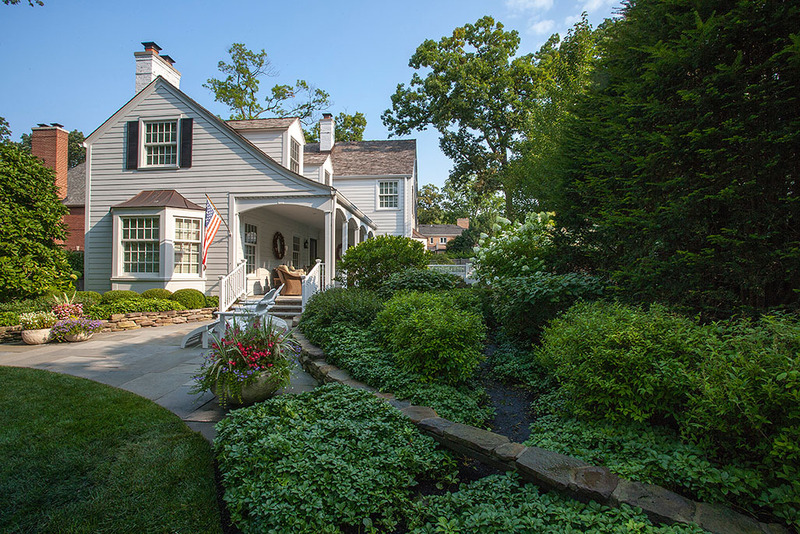 The site has a harmony about it, a continuity, and with variations in textures throughout, it is a pleasantly captivating outdoor environment.